ONE Strawweight World Championship Joshua Pacio will attempt to do what previous strawweight champions Yoshitaka Natio or the man Natio took the belt off of Alex Silva could not do. And that is to mount a successful defense of the title. “The Passion” is set to have his first defense on January 19 at ONE: Eternal Glory in Jakarta Indonesia against the highly-rated Japanese athlete Yosuke Saruta. 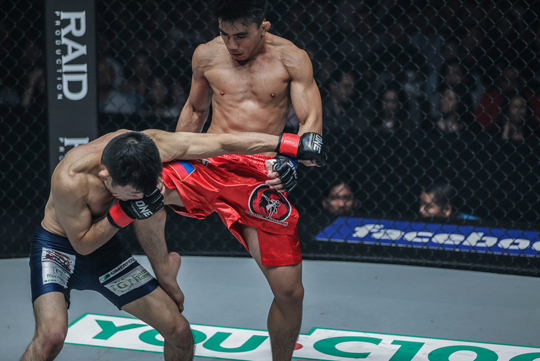 None of this is news to Pacio, and the 22-year-old is aware of the fact that there will be no room for errors when the cage doors close during his title defense. “I’m coming into this fight, as usual, in the best shape of my life,” Pacio said. “The Passion” will no doubt want to start Team Lakay’s year on the right track but there is no telling how the pressure will impact his mind leading up to the contest. “We research, study, and learn. We adapt, and we apply. I am so proud to be a part of Team Lakay and to represent my country on the global stage of ONE Championship. I will do everything I can to keep the title,” said Pacio.